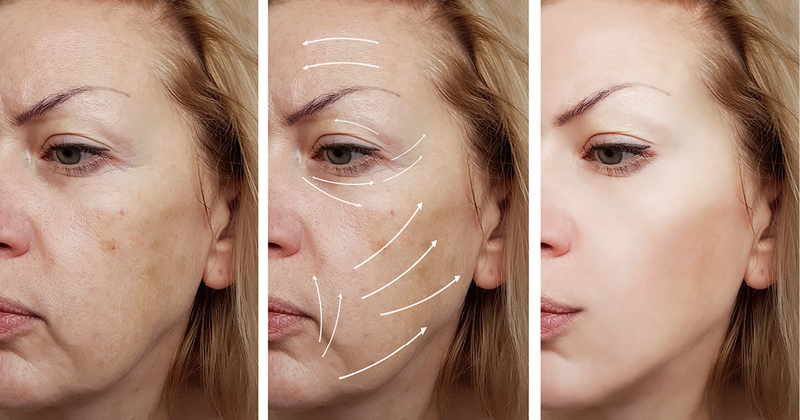 If you don't have naturally high or full cheekbones then don't worry, dermal filler can mimic what you weren't born with or lost due to the aging process. We normally use a dense, long-lasting filler to create structural support deep under the skin that has declined over time. It's typically injected under muscle and on top of bone, placed into the lateral cheekbone area to create lift and to contour the face. This technique is ideal for shaping the mid face, not for volumizing, and produces very natural and pleasing results. Now, if volume is what you're after then filler can be used for this purpose as well. Some people are born with a flat, under developed cheeks or a square face. Increasing the size of the cheekbones case can dramatically improve facial balance and harmony. The placement of filler is usually done in the medial cheek, or closer to the nose and under the eyes. Although the cheekbones can be augmented as well. Typically filler with medium density is ideal for treating this area. Dermal fillers such as Restylane are made with hyaluronic acid (HA) a natural sugar molecule that we all have in our bodies. HA has a unique property of being able to hold 1000 times its weight in water. When injected under the skin it binds water molecules together and traps them in underlying tissues, helping to plump and hydrate the skin's surface. If your complexion is extremely dehydrated or rough, dermal filler can smooth your skin and even help to soften fine lines and wrinkles. Nobody's face is completely even and we're all slightly imperfect. In fact, it's not uncommon for one side of the face to be quite different than the other. Sometimes subtle differences can make us more beautiful and even give our face character. In rare cases, however, a profound baseline asymmetry can detract from our appearance. If you're considering filler because you were born with one cheekbone that's higher than the other, or you have uneven wear of previous cosmetic injections, we can easily correct most types of cheek asymmetry with products such as Restylane and even Radiesse. Ada Shim N.P is an experienced Botox Toronto and Burlington + dermal filler practitioner who works out of her Toronto and Burlington clinics.